The moment is here. The new truth is upon us. 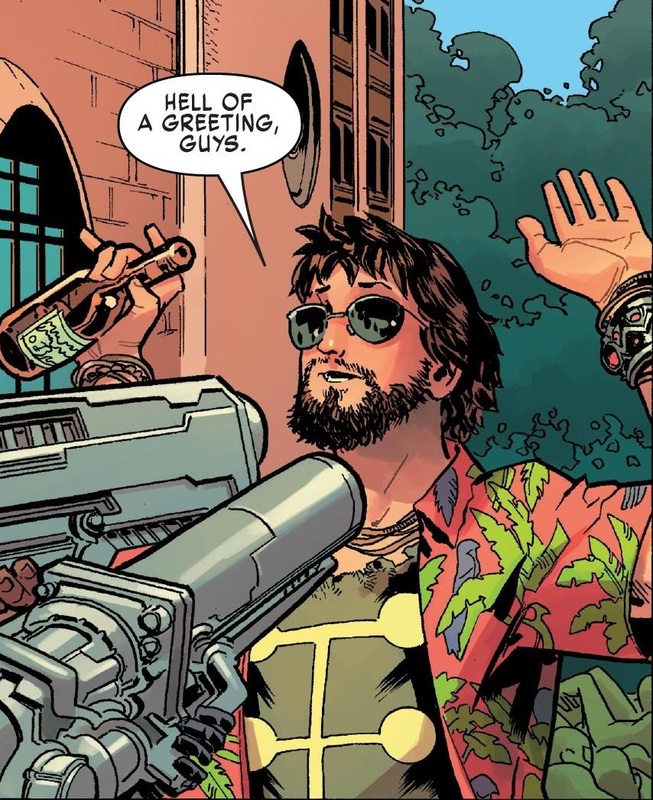 The Multiple Man comic book has come to an end and we have a new status quo for my all-time favorite comic book character. It’s not ideal, but I’m working hard to make my peace with the new normal. At the very least, he’s back in comic books again. Overall, the 5-issue mini-series is fine. I liked it well enough, even if the humor wasn’t entirely my thing, and the characterization of Jamie Madrox was a bit too off for my tastes. But hey, Multiple Man got his own comic again. That’s something. He’s even going to show up in the new Uncanny X-Men in a weird new role — maybe they’ll kill him all over again. I’m this close to being able to make a List of Six of all the canon deaths of Multiple Man. 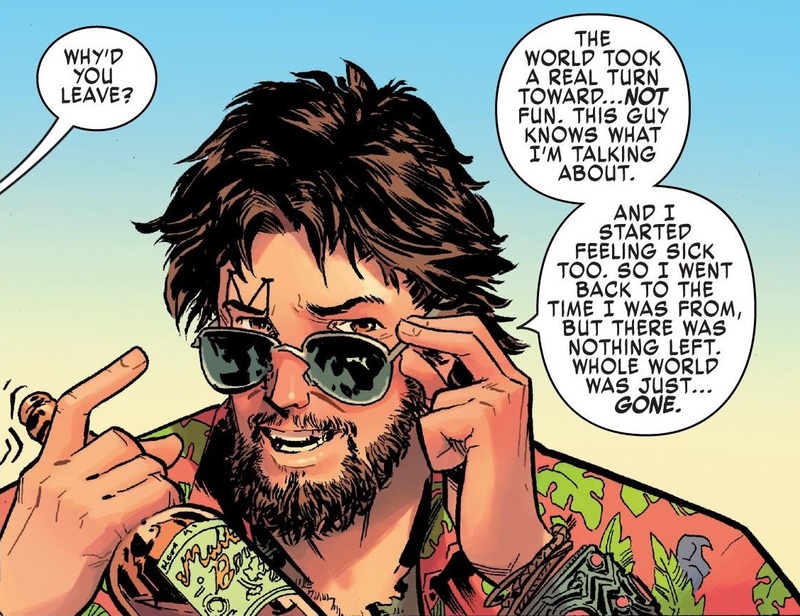 Join me after the jump for the full SPOILERS of Multiple Man’s new status quo. Multiple Man is now a dupe of a dupe who takes a hand-wavey serum that makes him a new Madrox Prime. Like I said, not ideal. Hopefully the real Madrox Prime comes back from the dead at some point, like all good comic book characters do. Anyway, allow me to explain this whole process. So Madrox Prime died in Death of X, when the Inhumans unleashed the Terrigen Mist across the world and killed dozens, if not hundreds of mutants. This is also when Cyclops died. Never forget that the Inhumans are monsters. Then earlier this year, Marvel launched a new Multiple Man comic book. It established that a duplicate created years ago was still alive in an underground bunker, working to create a way to make dupes more independent from Madrox Prime. He successfully survived when the real Madrox Prime and all of his dupes died. But since Madrox Prime was gone, he lost the ability to duplicate. Due to some time travel shenanigans, this dupe goes to the future, becomes a world-conqueror and takes over the entire planet with an army of Madroxes. He had the Beast perfect the independence serum, giving him the power of a Madrox Prime and the ability to make dupes again. Then through some more time travel shenanigans, there’s a big time travel war between Madroxes. Some of the dupes in the army of Madroxes are good guys and defy the world-conqueror, choosing instead to form a resistance. Five of these good guy dupes head out into the Multiverse to get help for the war. Four of the five of them go to worlds where they get new super-powers. One becomes a Hulk, another becomes a Deadpool/Wolverine combo. One becomes Sorcerer Supreme. It’s a whole thing. They go off and join all of the time travel/war shenanigans. 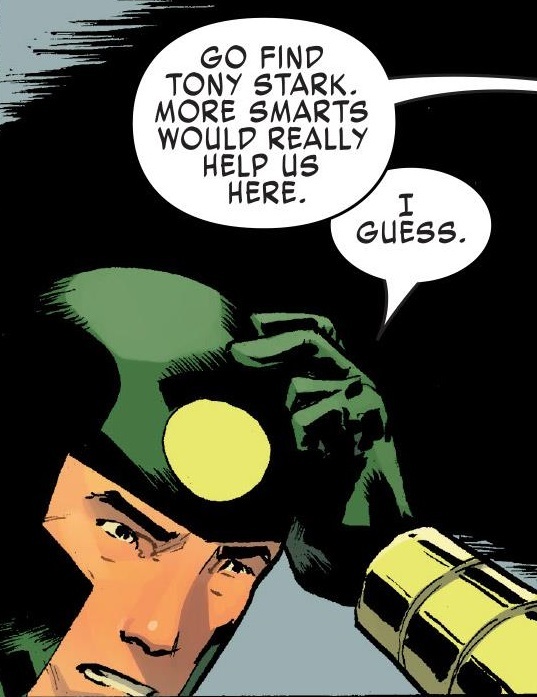 But we’re going to focus on the fifth dupe, who was ostensibly sent to find some version of Tony Stark to help out. This dupe instead wound up in a universe of the Marvel Swimsuit Special from the 1990s. 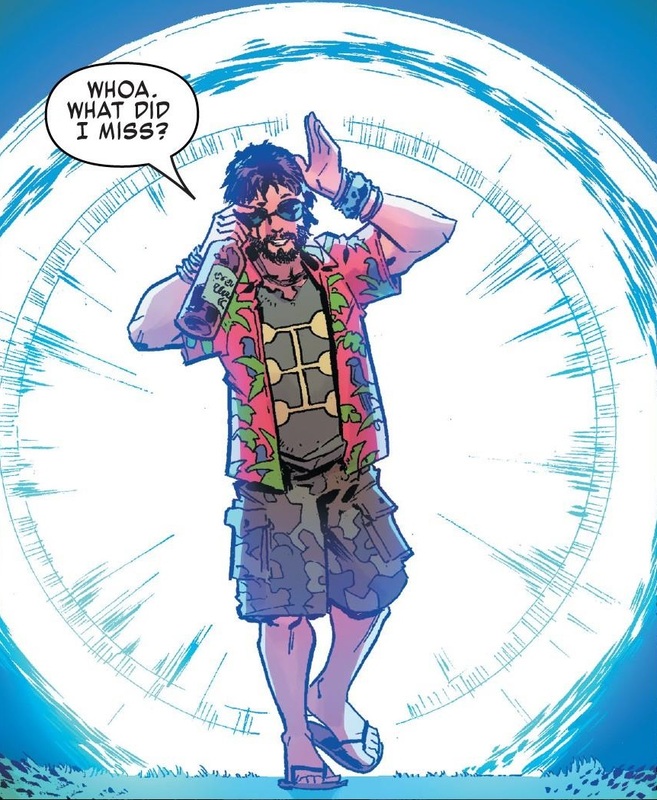 Rather than actually find Tony Stark and get help, this dupe instead got a job at a beach bar and spent some time living a pretty chill life, apparently. He even grew a beard. Then the world went bad and he decided to finally get around to getting back to that war thing. So he jumped around time for a bit and eventually returned to the present day X-Men — after the war was already over. The Multiple Man comic and the big Madrox war end with that bunker Madrox (or whoever) getting killed and thereby killing all of the other time traveling Madroxes. There’s no more war. No more evil army. No more super-powered Madrox squad. No more dark timeline. It’s all wiped out. 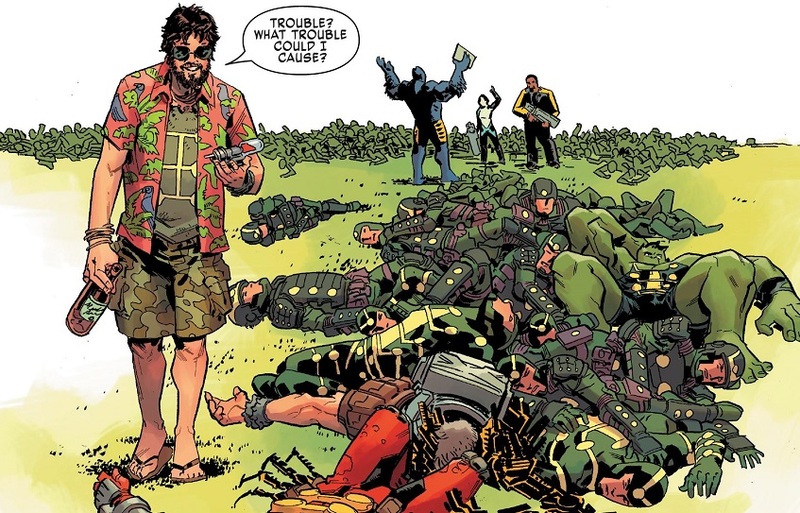 Except for Swimsuit Special Madrox, who is still kicking. He explains that he even got that “M” tattoo over his eye, like the original Madrox Prime had. And then he saunters off and picks up some leftover independence serum. So it looks like he’s going to just step back into the role of the original Madrox Prime, who is still dead. He’s got the eye tattoo and he’s got a magic science serum that grants him all the powers of Madrox Prime. So the new Multiple Man is a dupe of a dupe who has taken a special serum that just makes him Multiple Man. It’s weird. And I’m slowly making my peace with it. Posted on November 1, 2018, in Comics, Multiple Man, X-Men and tagged Jamie Madrox, Multiple Man. Bookmark the permalink. 1 Comment.